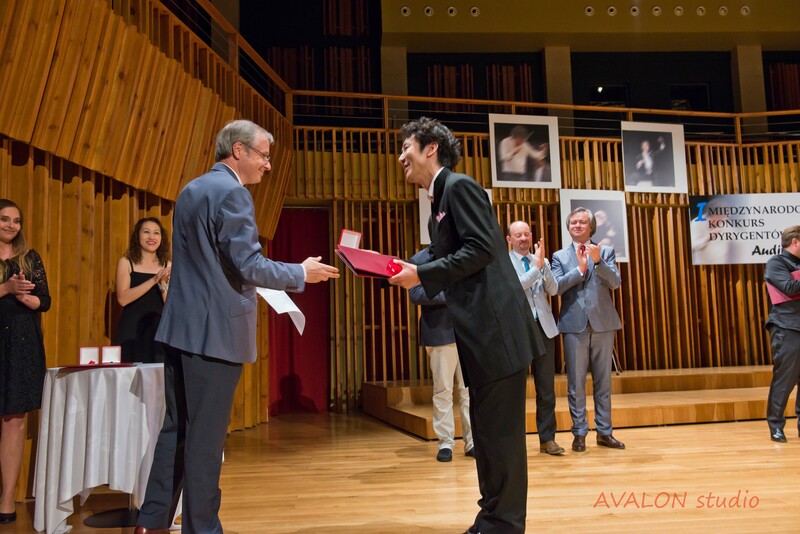 Naoyuki Hayashi won 3rd Prize in the 1st Audite International Conducting Competition. 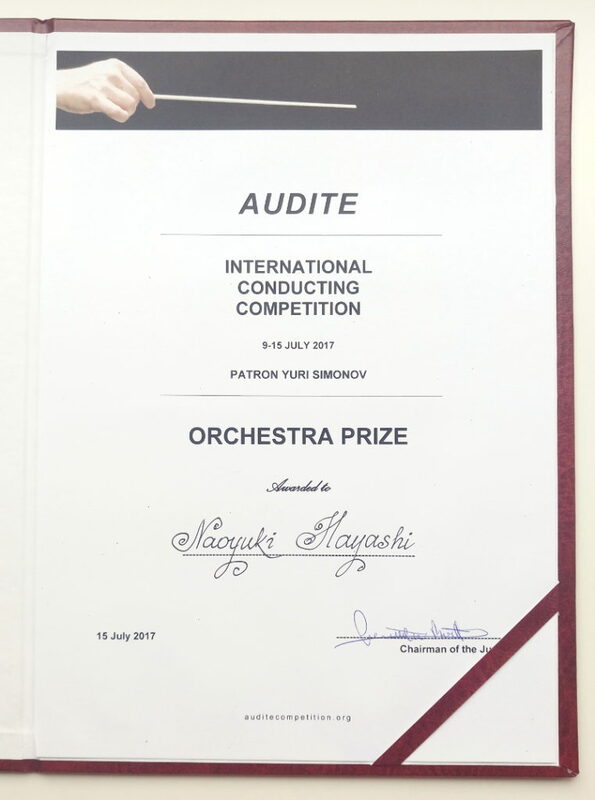 At the same time he won Orchestra Prize by getting the most number of the orchestral member’s votes. 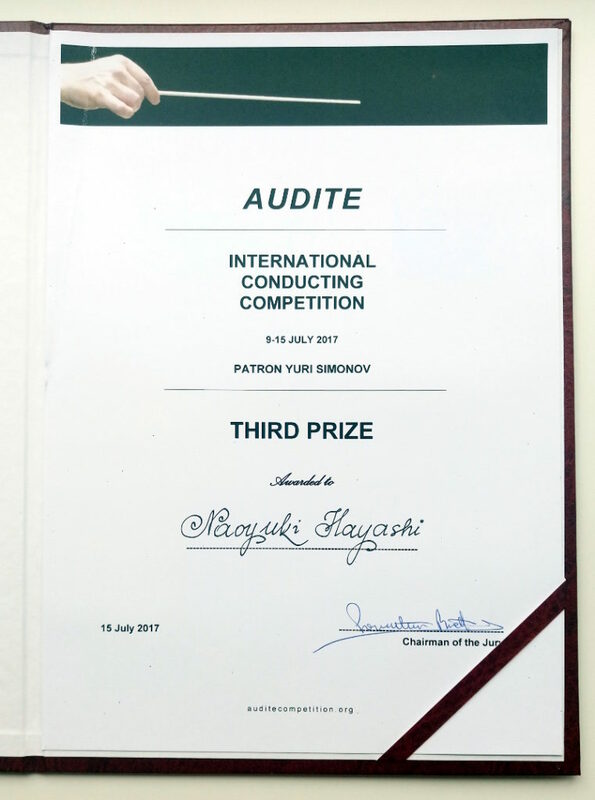 This competition was patronized by Mo.Yuri Simonov, a Russian great conductor, and held in Radom, Poland, from 10th to 15th July 2017. 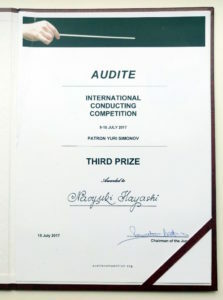 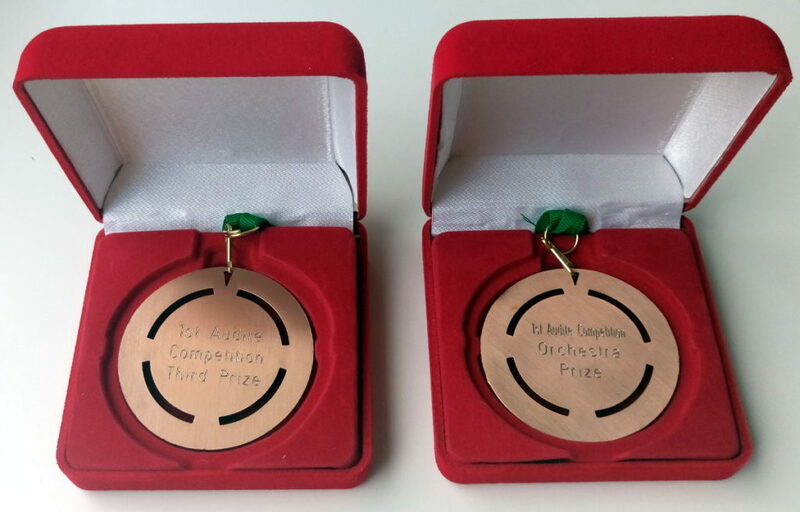 After Audio-Visual preliminary round for all the applicants, 40 qualified competitors were invited to the competition and they competed for 4 rounds. 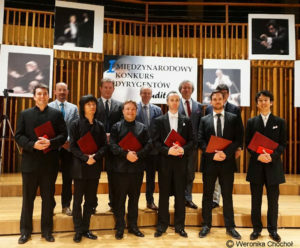 The 6 successful competitors survived until the Final Round. 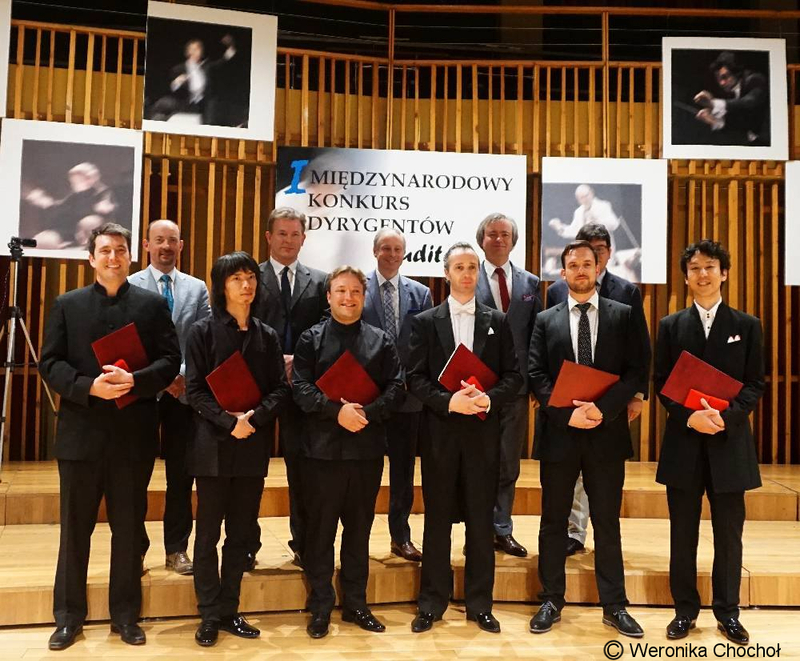 It was the public concert with the Radom Chamber Orchestra, the official orchestra of this competition, at the Krzysztof Penderecki Concert Hall in Radom.